Father Of The Bride, Vampire Weekend’s long-awaited LP4, is fast approaching. We’ve gotten two pairs of songs so far — “Harmony Hall” and “2021,” the Steve Lacy-featuring “Sunflower” and “Big Blue.” We’ve also gotten two accompanying music videos — a snake-filled, extremely ’90s “Harmony Hall” video and a Jonah Hill-directed, Zabar’s-set, Jerry Seinfeld-featuring “Sunflower” video. We’re presumably getting another two-song drop before the whole thing comes out in May. And now, we’re getting something different. 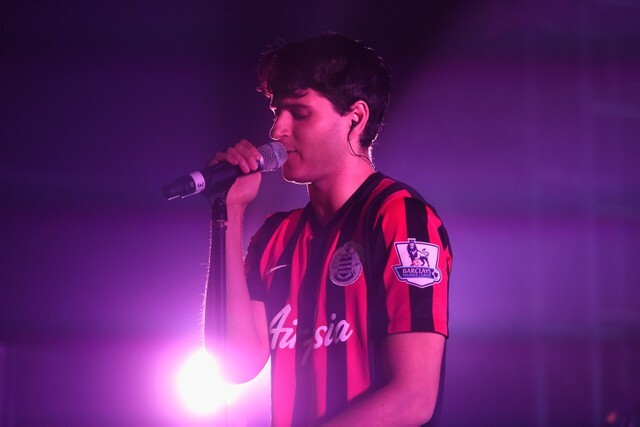 Today, Vampire Weekend are performing songs from the upcoming Father Of The Bride live for the first time, as Ezra Koenig and the boys are joining Steve Lamacq for a live session on his BBC Radio 6 show. Will they debut any more new songs? Probably not, but who knows! You can listen live here; Lamacq says that the Vampire Weekend session will be starting slightly after 2PM ET. Father Of The Bride is Vampire Weekend’s first album since their 2013 classic Modern Vampires Of The City. Since then, multi-instrumentalist and producer Rostam Batmanglij has left the band, although he still helped out with a few songs on the new album. Father Of The Bride is out 5/3 on Columbia; you can pre-order it here. The band will head out on tour in support of the LP later that month. This article originally appeared in Stereogum.